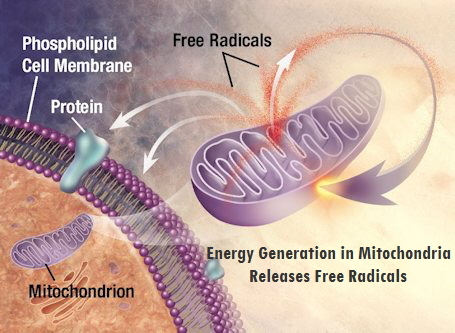 Mitochondrial Cleanliness - Clean Engines Last Longer Both In Cars and in the Human Body! One of the most damaging, common toxins that degrades mitochondrial functioning is mercury. This occurs because of mercury’s huge valence potential (propensity to grab and hold electrons) which interferes with electron transfering (reduction/oxidation). The same can be said for other elements that easily disrupt electron transport and sharing. Also, high on this list would be cadmium, nickel and lead. It is extremely imoprtant to avoid these damaging heavy metals in their inorganic forms because they will certainly disrupt the sharing of electrons and/or cause cellular damage wherever they go in the body. 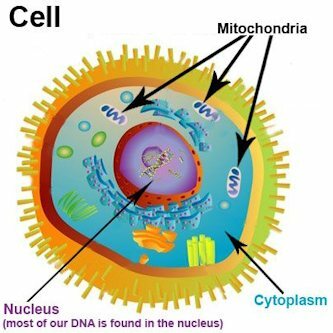 If they reach the mitochondria they will disrupt energy production. The largest source of heavy metals in humans is dental metals such as amalgam (mercury, cadmium) fillings and stainless steel (nickel) posts, crowns and orthodontic braces. (Stainless steel in the mouth is like a Trojan Horse, with nickel being the soldiers inside that do the damage.) Also, vaccinations often contain large amounts of mercury. Cadmium enters the body from cigarette smoke, air pollution and polluted fish (from China). Chelation means the grabbing and binding of heavy metals by specific compounds that are either taken orally or injected. After binding with the heavy metals, those compounds along with the bound heavy metals will be removed via the kidneys. The most effective chelator that can be used without a doctor prescription is EDTA. Other chelators such as DMPS and DMSA need doctor prescriptions and supervision. These chelators will remove good minerals as well as harmful heavy metals and must be followed up with increased mineral and trace mineral consumption, or else serious mineral deficiencies will occur which may impact health as much as the presence of the toxic heavy metals did. It is especially imortant to supplement zinc, calcium, magnesium, potassium and sodium a few hours after oral or intravenous chelation. Sauna (raising of body temperature) causes toxins including heavy metals to be dumped from their storage sites throughout the body directly into sweat elimination pathways. 15 minutes of sauna will cause more heavy metal detoxification from cells than would otherwise naturally occur in a 24 hour period of time, that is it speeds up detoxification by approximately 100 times. Thiols are natural sulfur containing compounds. Chief on this list would be Glutathione, MSM and cysteine and zinc rich foods or supplements. It should be noted that when heavy metal levels in the body are extremely high, chelation therapy, zeolites and sauna therapy are the wisest course of action. Natural thiols can be overwhelmed and a lot of “exit” damage from the heavy metals can occur. Learn more about Glutathione detoxification of heavy metals. Zeolites have proven to be of great value in removing heavy metals that are circulating in the blood stream. They will not enter into cells and remove heavy metals within cells, however; in this sense, zeolites are passive. Their greatest value lies in removing toxins that have been expelled from cells due to acceleration of detoxification through heat (sauna), or that are being released into the body because of their presence in dental metals. Large amounts of heavy metals are released from dental metals during “chewing”. Learn more about zeolites for detoxification of heavy metals. Foods and supplements that are valuable at accelerating heavy metal detoxification include Apple Pectin, Cilantro, Garlic, Chlorella, RiSoTriene, CoQ10, Bioflavanoids and Red Root Tea.